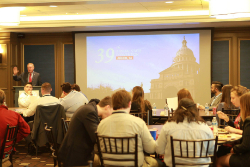 February 15th thru 17th, we held the annual Young Conservatives of Texas (YCT) convention in our state’s capitol city. 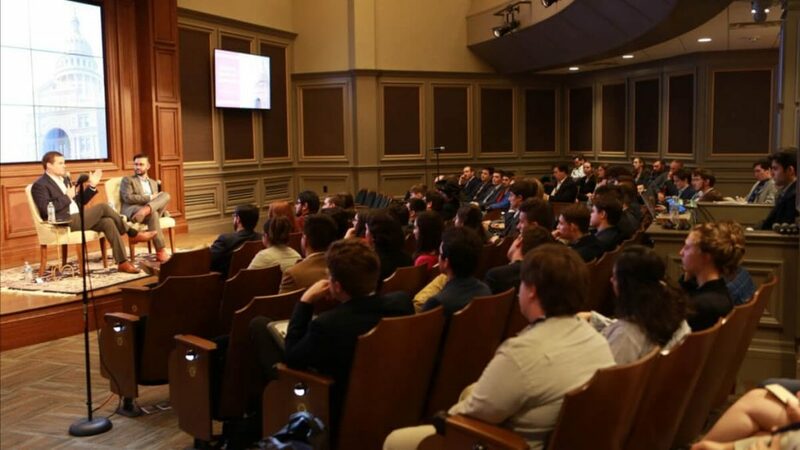 With over 100 students in attendance from our 10 chapters, we sold every student ticket available and made the 2019 convention the largest, and most successful in YCT’s recent history. 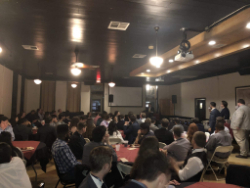 On Friday evening, our members rallied at Scholz Garten where our Founder Steve Munisteri encouraged members with war stories from the beginning of YCT. 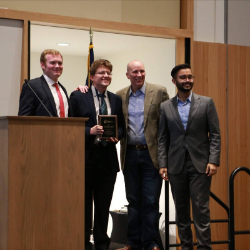 He enthralled the crowd with the story of him and his friends – what would become YCT – involvement in President Reagan’s 1976 primary election campaign. We are proud changers of history, and champions for conservatism. 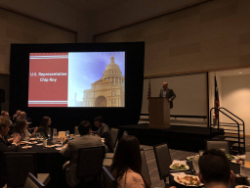 Saturday, YCT members spent the day at the Texas Public Policy Foundation listening to an action packed day of panels. We covered a wide variety of topics with our guest panel speakers including elected officials, leaders of advocacy organizations, and YCT alumni. We were thrilled to have Railroad Commissioner Wayne Christian as our lunch keynote speaker. Saturday evening, YCT carried on tradition by hosting a gala with over 180 attendees. We were honored to have two incredible conservative keynote speakers, Texas Attorney General Ken Paxton and US Congressman Chip Roy out of District 21. Both described their dedication to conservative solutions in Texas and D.C. and brought to crowd to their feet. In addition, YCT has ambitious goals we would like to accomplish before next year’s convention. Currently, we have 10 active chapters across the state, and would like to grow to 25 chapters. 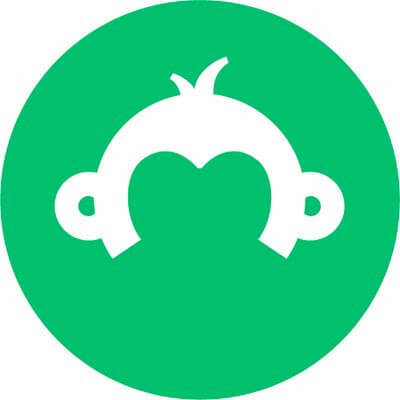 To achieve this ambitious goal, we need your help. We need you, our active members and alumni, to fill out this form providing us with contact information for students you know at schools who do not have a YCT chapter, and would be interested in founding one. This network of contacts is vital to our organizations continued growth. 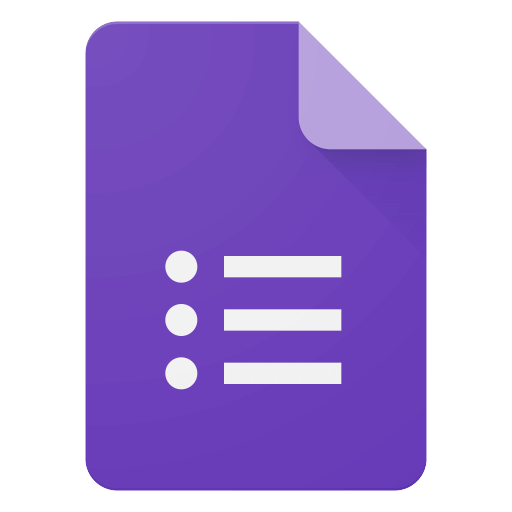 In order to make next year’s 40th convention even better, we would like for everyone who attended this convention to fill out this feedback form. No compliment or criticism is too big or too small for consideration. We look forward to taking your comments into consideration as we begin working on plans for the 40th. 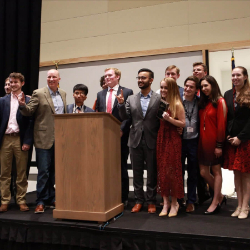 We would like to thank everyone who helped to make this convention a success as students left the convention fired up, and ready to spread YCT’s message on their campus. We look forward to seeing all of you at the 40th Convention next spring.